Bringing with him 20 years of costs experience, David joined MRN in April 2018. His experience has given him a broad range of expertise, including Commercial Litigation, Clinical Negligence, Personal Injury, Court of Protection and Public Funding matters. 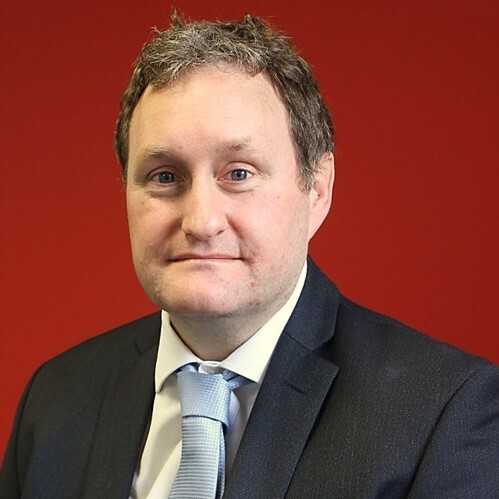 Graduating from the University of Sunderland with a BA in History and Politics, David began his costs career working for a large national cost firm and subsequently working in house with solicitors before setting up his own costs firm. He was attracted to the energetic nature of this field of litigation and ran his costs business for 16 years. With a consistent record of excellent recovery for his clients and undertaking all work from budgeting through to assessment, you can rely on David as a confident and candid negotiator. He takes pride in being a source of advice for his clients either formally or informally and works hard to ensure the best possible recovery to reflect the hard work of the solicitors in pursuing a claim. Outside of work, David enjoys watching football, rugby and cricket, and spending time with his family.